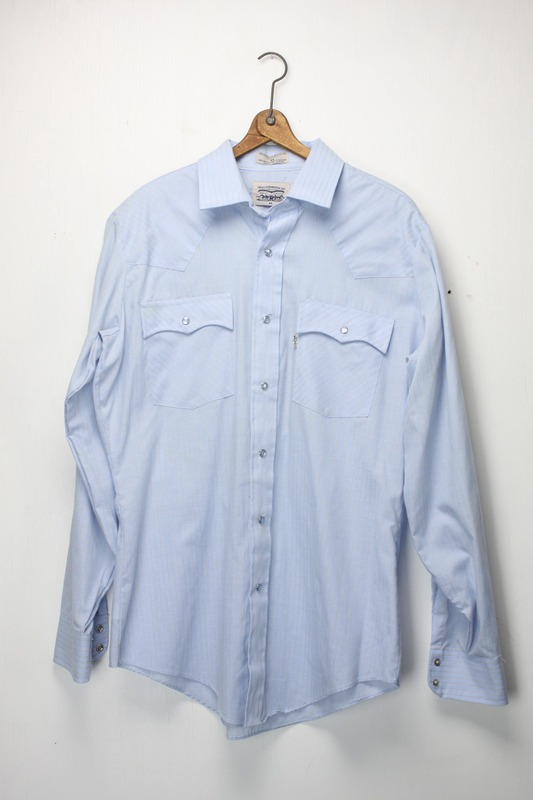 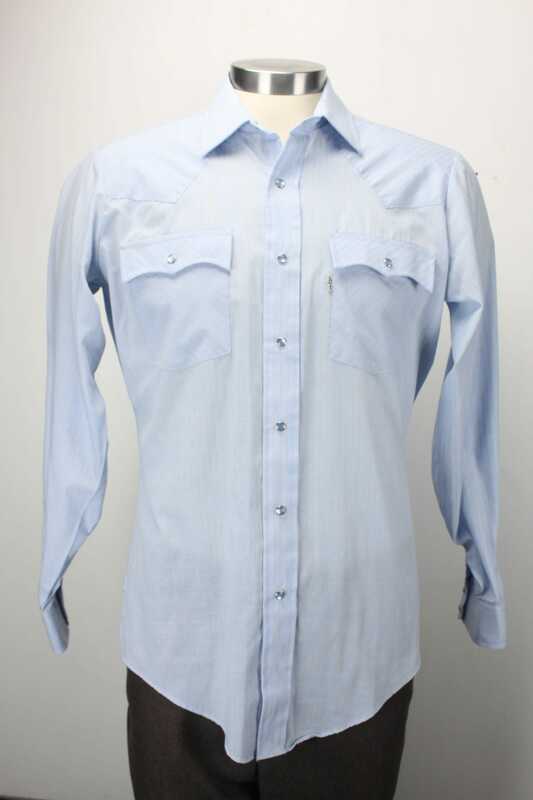 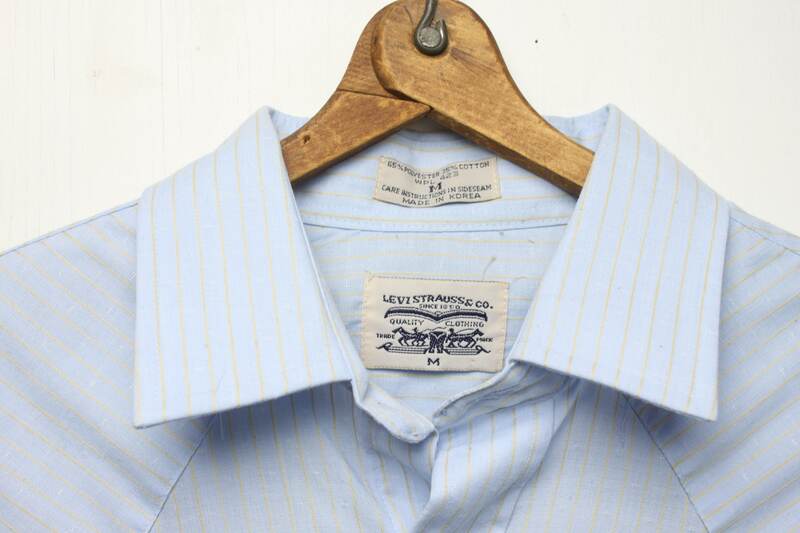 Vintage Levi Strauss western wear shirt in amazing condition! 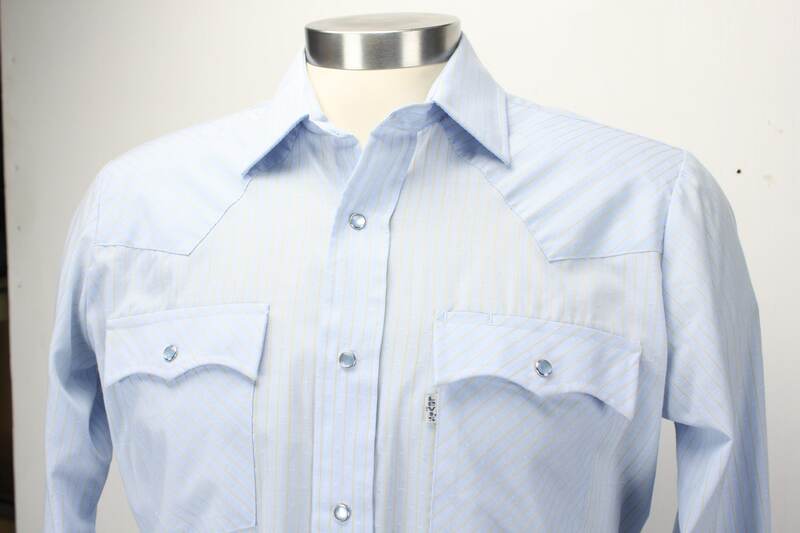 This simple blue & white plaid shirt has pearloid snap button and features single needle construction for that authentic feel! 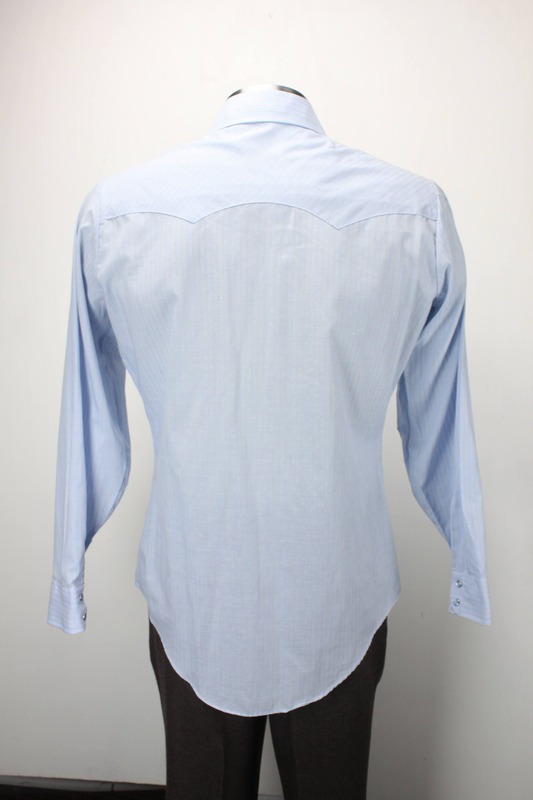 - Shoulder to Shoulder: 16.5"
- Shoulder to Cuff: 27"
- Inner Arm to Hem: 17"